Posted on May 27, 2014 by Sue P.
has begun! 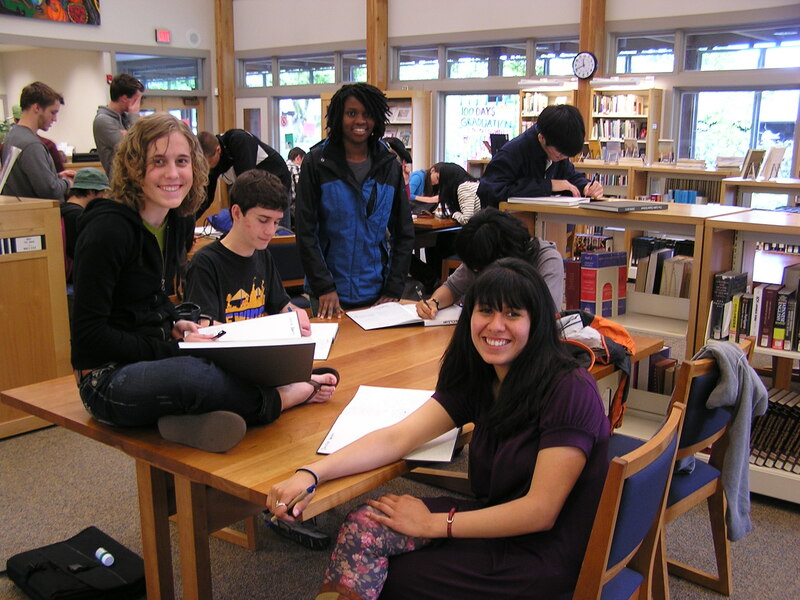 From May 27 through June 13, all returning students in the Upper School may check out books for the entire summer. Returning Catlin Gabel faculty and staff are eligible to borrow as well. These items won’t be due until September 12, 2014. Come join the browsers. It’s been a brisk morning of checkouts already! Thursday & Friday: Come Sign Yearbooks in the US Library! Posted on June 12, 2013 by Sue P.
Congratulations on surviving your final exams. On Thursday and Friday, June 13 & 14, you’re invited to come sign yearbooks, hang out with the seniors and all of your friends, and celebrate the end of the year in style. No quiet allowed! Summer Borrowing is ending on Friday, June 14th, and we’ll close at 4pm on that day. See you soon! Enjoying yearbooks in the US Library a few years past.